Summary: It’s big. It’s fat. It’s humongoid! 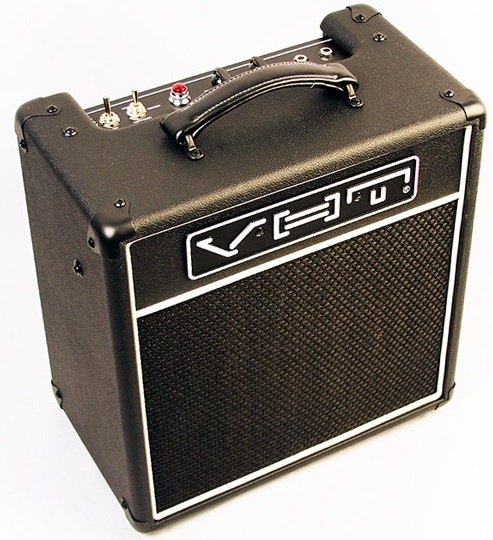 And it has TONS of tone! Pros: Just a joy to play with! You can get big fat tones out of this, but its slightly pointy tip and sharp edges produce subtle harmonics that make notes ring. 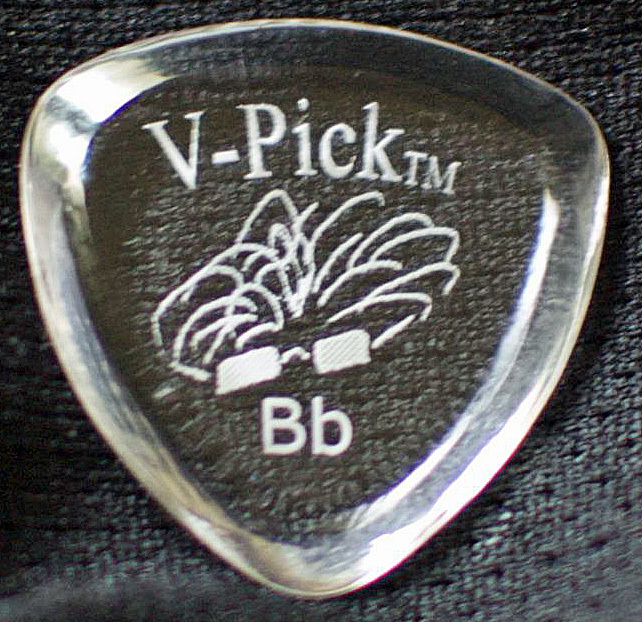 Tone Bone Score: 5.0 – With each new V-Pick I play, I fall more in love with them. This is by far my most favorite V-Pick to date – I even dig this one over my beloved Snake! That says a lot! Just when I thought I found the perfect pick in the V-Pick Snake for playing electric guitar, I tried out the V-Pick Psycho. I must be psycho myself for loving a pick this big and fat, but I do! I’ve only played with it for a very short time, but I’m a believer! 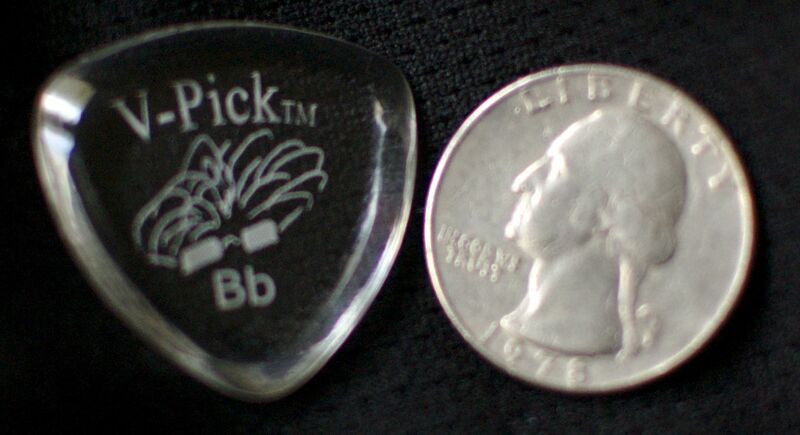 The big but ringing tones this pick produces are amazing. This is just perfect for playing leads, with incredible note articulation and clarity due to it’s pointy tips and sharp edges. Now you might think that would produce a fairly bright tone; it does, but the thickness of the pick also brings out the bottom end to bolster that brightness. The net result is a very balanced tone. 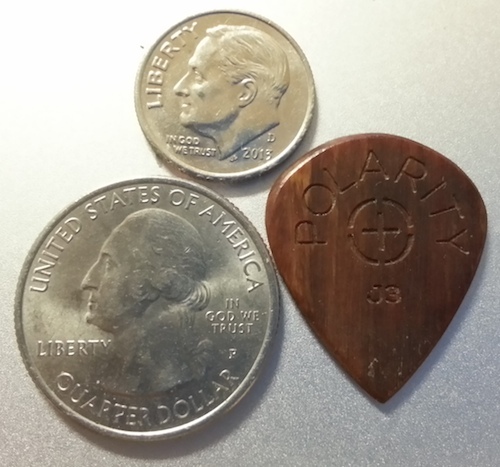 I’ve gotten used to playing super-thick picks, but this pick is a completely different story. It’s thicker than anything I’ve ever played before! But the pointy tip makes precision an absolute breeze. I’ve only clocked a couple of hours with this pick, and I only stopped because I had to write this review to share how much I just LOVE this pick! The Psycho is CRAZY HUGE, but it’s by far the best pick I’ve ever played! I never thought I’d say that, considering I said the same thing about the Snake, but it looks like I’ve got a new favorite. Yeah, I must be psycho to love a pick this huge, but I am after all, GoofyDawg, and I just dig goofy, crazy things! 🙂 And when it’s crazy, insane tone we’re talkin’ about, no way can I avoid it! I’m going back to playing right now!